» Busy Mum, the best use of your limited time to lose weight and change shape. Busy Mum, the best use of your limited time to lose weight and change shape. Do you still find you get to be able to live an active lifestyle? Obviously you don’t get much time to do this and I’m sure you suggest activities that you can do with your children too that are active. (especially during summer holidays). Over the course of the week any exercise you can engage in is great. But do you wonder which type is going to be the absolute best use of your limited time? Really help you deliver the results you are looking for? To not just slim down, but change shape, tone, improve bone density, increase metabolism meaning you burn more calories each day? And if you do it the right way, give your spine and joints more support, increase your mobility and have less aches and pains in general. Do you sometimes find yourself lacking motivation to exercise? Or in relation to what you pack in – the energy!? Or when you have a small amount of time spare what to do? Or when you go to the gym, the best exercises? The best use of your time is doing exercises that use a list of muscle groups at once back to back and adding in some interval cardio (heart healthy type exercise with periods of work and recovery). But, I get it, these are also the most complicated. Which is why the cardio machines are popular. Which is why I see so many joggers when I am out and about. 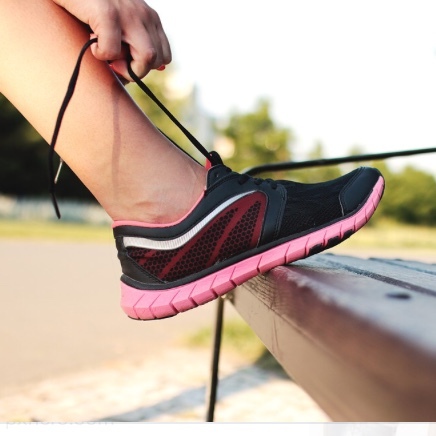 Rather than think about complicated exercises, you lace up your trainers and go! With the big list muscle group exercises you are not just burning calories during, but effecting your calorie burn long after you have finished. Exercises like Squats, Lunges, Press Up’s and lying on your front Rows for example. The good news is they can be done anywhere, in small spaces, no equipment and 1 lap takes about 10 minutes. Then you would start to change shape, increase tone, feel stronger and have better health. This is something that is part of my system, I coach you and hold you accountable to adopt healthy eating habits and take you through exercise sessions that I design especially for Busy Mums to be high calorie burn, but low impact to get the results you want. Scroll down to get your free 7 steps guide, what the busiest Mums can start doing to lose weight and change shape. Ed (Doing and teaching the best and least complicated exercises, because I too don’t want to look silly in public if it all goes wrong with my body weight legs in the air rotation press up) Stride.